About 20% of agricultural land and 40% of forests are degraded. Degradation reduces our capacity to feed a world population that will reach at least 9 billion people by 2050 and it destroys ecosystem services – like the supply of clean water. Also when soil is degraded and trees destroyed, the carbon they contain is released into the atmosphere. Having high levels of carbon in the atmosphere is a major cause of climate change. Because a great deal of land has been changed to produce food, agroforestry, the practice of deliberately introducing trees into farms, is an important way to restore degraded land. These trees, outside of forests, have tremendous commercial and ecological value. Because of this, agroforestry is increasingly being recognised as a key practice, supporting nine out of the 17 sustainable development goals – the global action to end poverty and protect the planet. Unfortunately policymakers have not yet caught up. Very few agricultural policies around the world promote agroforestry and few agricultural universities and training institutes include it in their syllabuses. This needs to change if agroforestry is going to be widely adopted across all farms to meet local and global challenges of food production, environmental protection and the alleviation of climate change. Trees are vital to a healthy and balanced environment as they store carbon – trees hold three quarters of the carbon found in agricultural land – which affects climate change, and protect soil. Soil supports the growth of plants, also stores carbon and is key for nearly all agricultural production. The international community has recognised this and is in a battle to restore degraded forests. Countries have pledged to restore about 170 million hectares of land worldwide. These are massive commitments and the question is where the efforts can be placed and land will be found. The International Union for Conservation of Nature has identified 160 million hectares of land, in 26 countries, with restoration potential. But most of these areas will be "mosaic" land, where trees would need to grow within managed, mainly agricultural, landscapes. The reason is very simple: most of the forest that has been lost has been transformed into agricultural land, and that land won't be recovered as long as the demand for food continues to grow. If we need more trees, many will have to be introduced into managed agricultural mosaic landscapes. Fortunately, trees can be valuable and profitable parts of agricultural systems. They provide timber, food and fuel. They make soils more fertile, and protect the ecosystem services that agriculture depends upon. Trees on farms bring immediate benefits to farmers and contribute 17% of gross income in tree-growing households in sub-Saharan Africa. Increasing tree cover on farms is more than an ambition, it's already happening around the world, especially on smaller, mixed farms. Recent research shows that 45% of farms worldwide have more than 10% tree cover. But, for its part, mainstream agriculture – still tends to ignore the need to plant trees and there are two reasons for this. Firstly, agroforestry as a modern approach to farm production and land management – in contrast to agroforestry as a traditional farming practice – is a relatively new idea, dating back only to the 1970s. Agriculture and forest institutions around the world have been slow to adapt themselves. Secondly, agroforestry gets lost between agriculture and forestry ministries and departments, often hosted in one institution and ignored by the other. This precludes the joining of forces of different specialists needed to push the agenda of trees on farms. Some countries are breaking this trend. 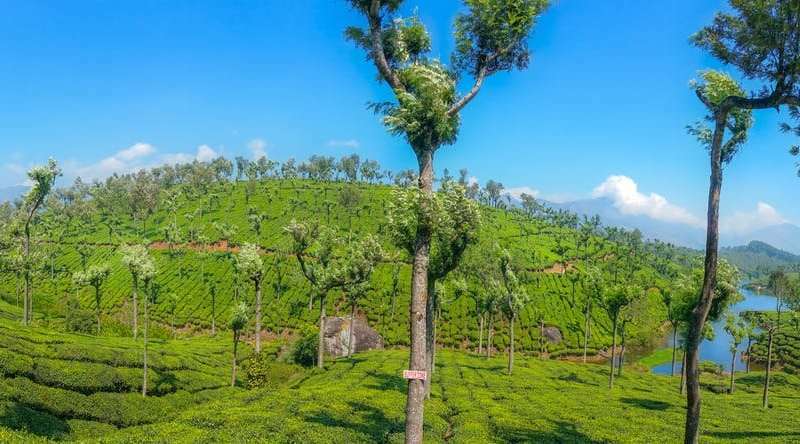 India, for example, has developed a pioneering national agroforestry policy, supported at federal level, funded down to state level and with incentives for state universities to reform their agricultural syllabuses to include agroforestry. Are trees on farms the future for the timber industry?